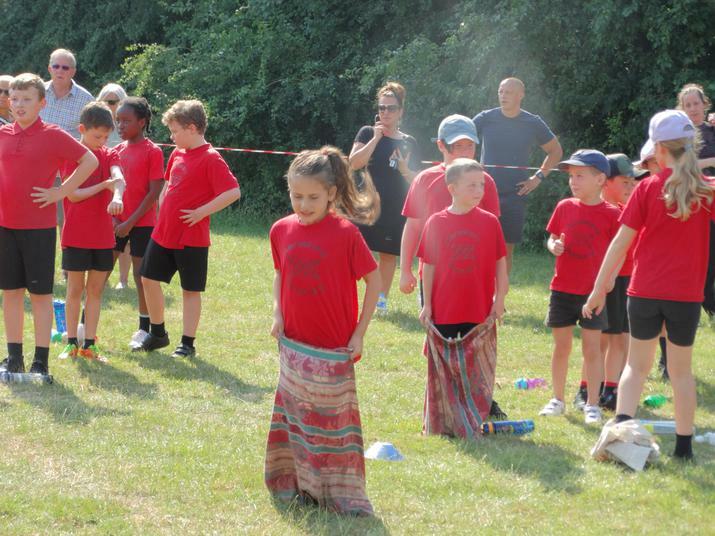 The Key Stage 2 Sports' Day was a hotly contested competition with all of the children participating in a round-robin event. This was followed by class relay races. Mr Woolard presented the Jacky Anderson Cup to the winning team, Goldfinches. This commemorates Mrs Jacky Anderson, who taught at Hereward for 23 years until her sad passing in 2017. It was fitting that the Goldfinches were the first winners of the Cup, as Mrs Anderson was one of the Goldfinches teachers in the school.